Virtual reality is the hot new-ish thing these days, but making your own fully immersive 360-degree content is far from a simple experience. Samsung might be getting ready to release a companion to the Gear VR called the Gear 360. According to SamMobile, it's a 360-degree camera that records video using two 180-degree fisheye lenses. Each camera in the Gear 360 is allegedly capable of 1920x1920 resolution. The two together can produce a 3840x1920 panoramic image. It will capture the video for later use, but can also stream directly to a connected phone via a Gear 360 app. The camera can pair over Bluetooth as well, but that wouldn't offer enough bandwidth for live streaming. It's unclear if it will stream to a phone by itself or if you'll need to dock your handset in the Gear VR headset to use the Gear 360. The camera will have a battery, so it won't be tethered to a wall. 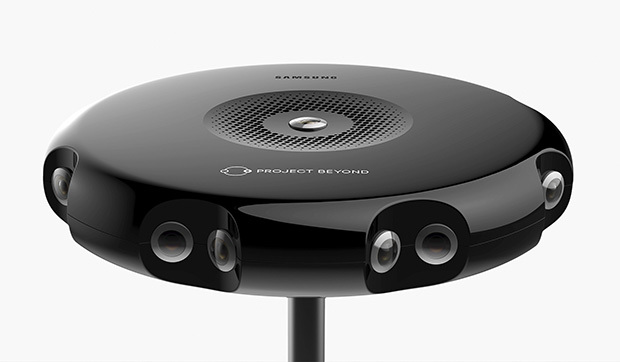 The Gear 360 may be an evolution of the Project Beyond 3D camera (above) Samsung has shown off in the past. SamMobile doesn't have pricing data yet, but believes the Gear 360 will be announced on February 21st with the Galaxy S7. Compatibility is up in the air too; it'll work with the GS7, but anything else is speculation. 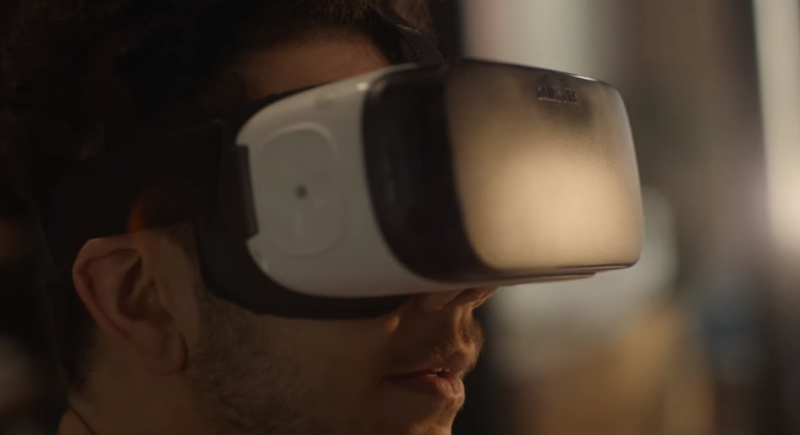 The teaser video posted yesterday does include someone using a Gear VR, so it's possible this will be a big push for Samsung.